After my holiday event, a few of us went out to dinner. Of course, over dinner, I got to play with gal pal's diamond pieces. 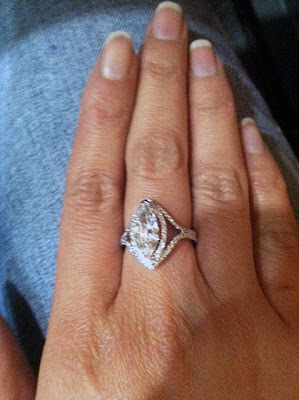 It is so fun to have a bestie as a diamond designer/dealer. We get to play with lots of sparkling pieces. 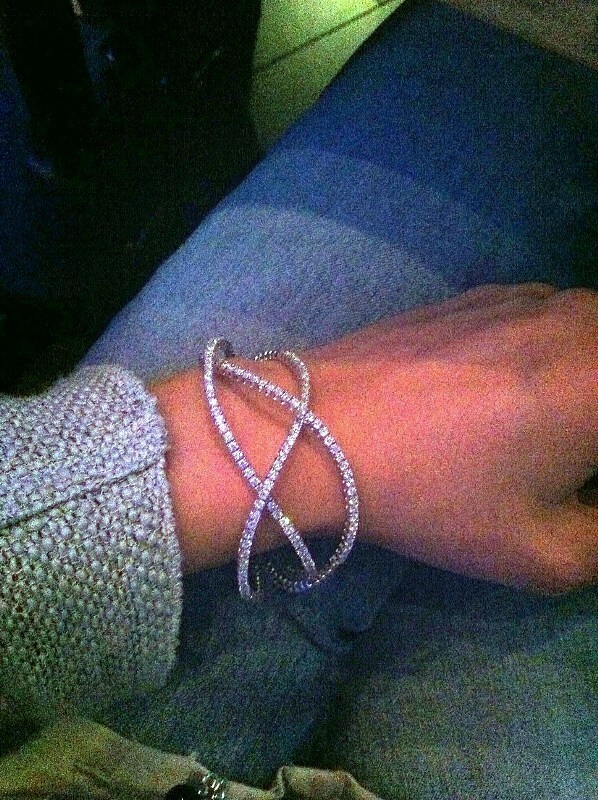 I love this diamond cuff. It is actually flexible. The wave design is so delicate and organic. Sigh.... I definitely have this on my list. On the side note, I am not a marquise diamond type of gal but this one is actually quite pretty in this setting. Sigh....I just love delicate designs....... What is your favorite diamond shape? I'm a cushion cut type of gal, although I'll never really turn down any diamond. I think I like them oval... but tomorrow shall probably be different! Diamonds do make any gal's day sweeter! Santa Baby...?! gorgeous!! i LOVE diamonds!! i'm a fan of emeralds and cushions!! I love that diamond bracelet. It's like a piece of artwork.